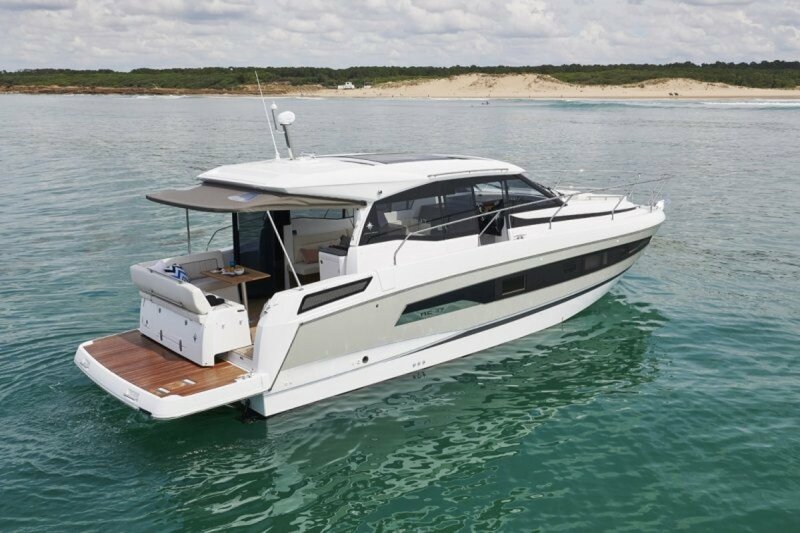 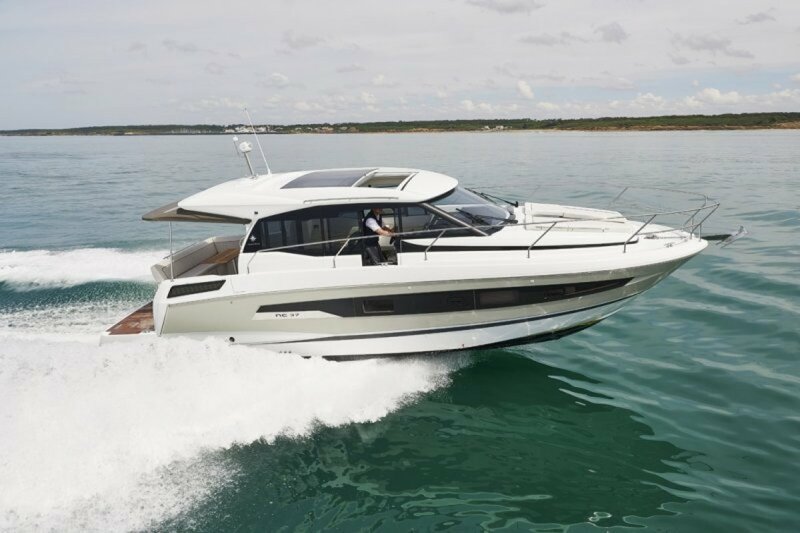 This new NC model benefits from the renowned seaworthy qualities of a Jeanneau and the excellent hull design by Michael Peters, ensuring reliable and secure handling at sea. 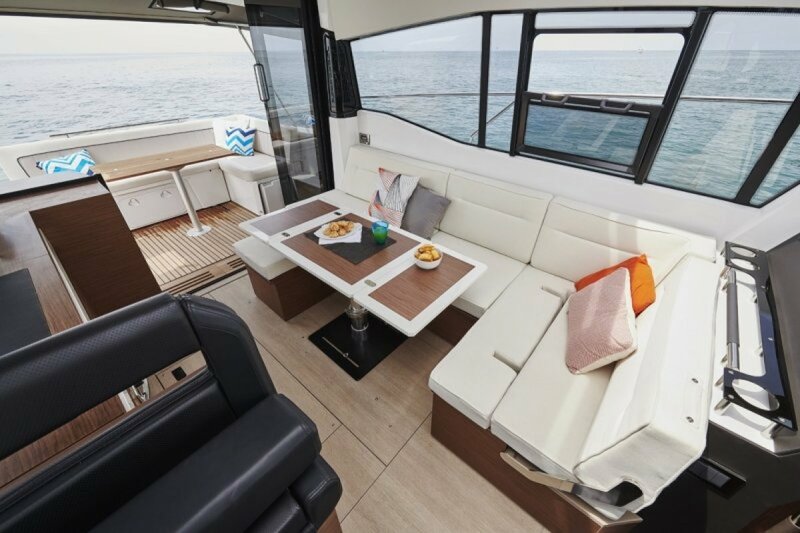 From a design standpoint, the interior layout meets all the demands of the NC concept without a single step on board, one level living, making life aboard easy and enjoyable. 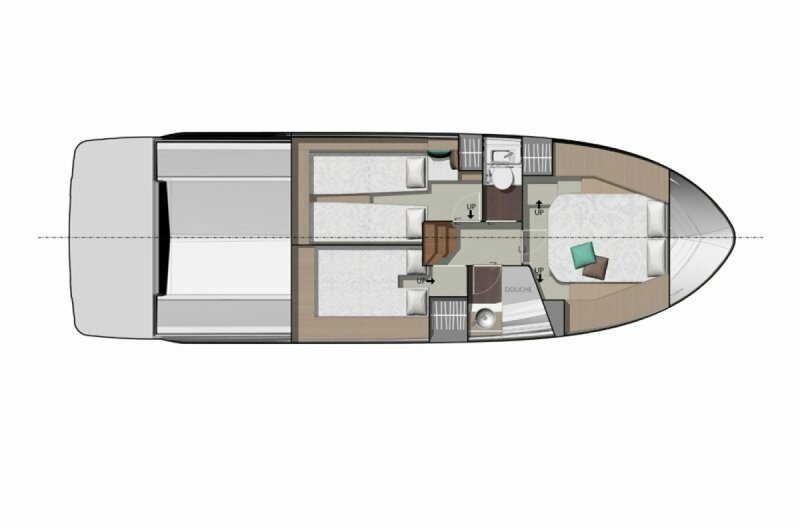 Designed for living on the water, the NC 37 is open to the aft cockpit via sliding doors. 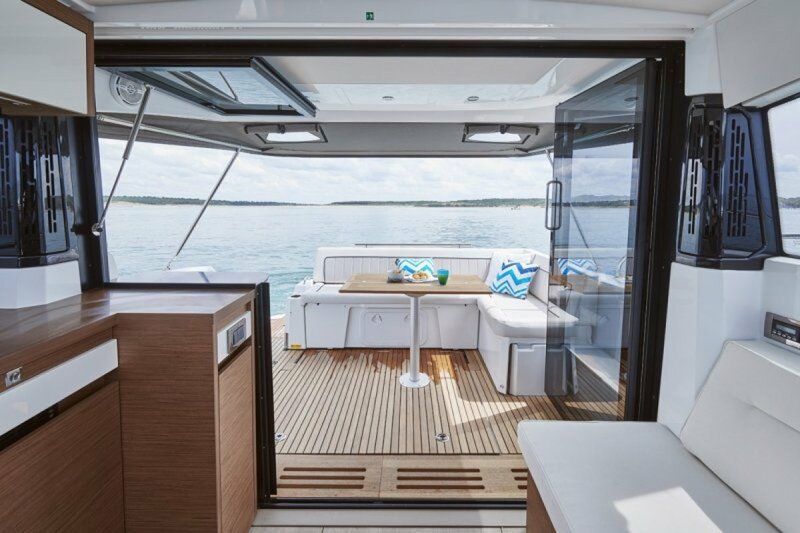 This model is faithful to the spirit of the line, designed for comfortable, easy cruising. 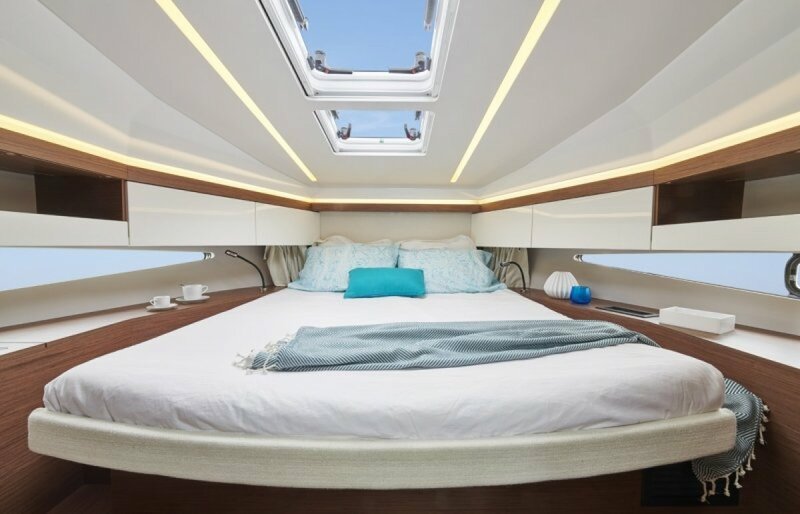 Designed as an apartment with a terrace directly on the water, the NC enables you to live life at sea in absolute comfort. 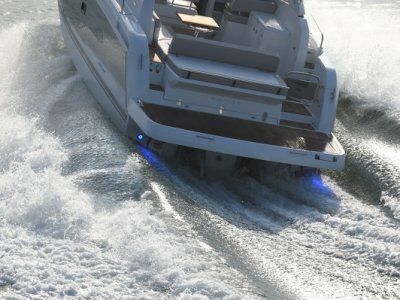 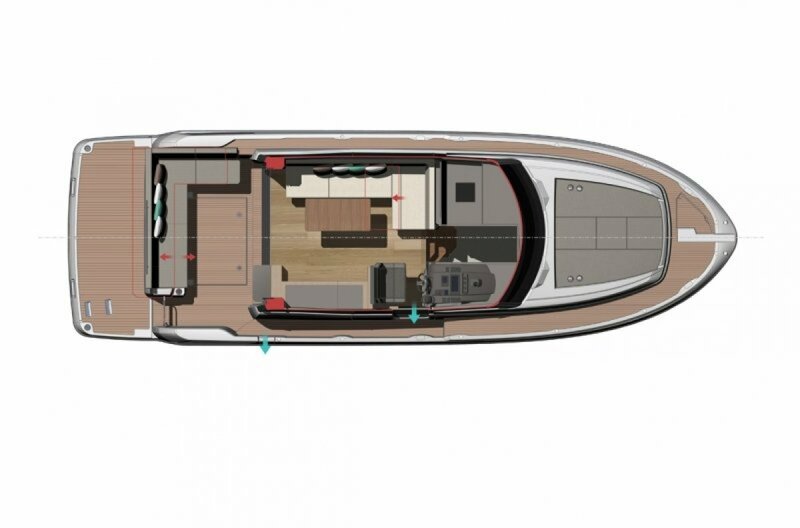 With her modular, L-shaped aft cockpit, which can be adapted into a sundeck, the NC 37 lives up to this expectation. 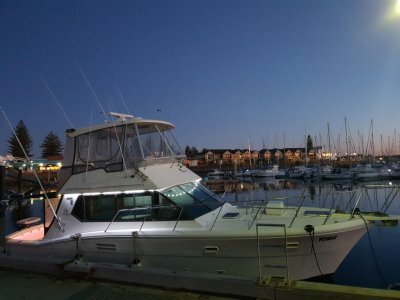 Life on board is comfortable and fun, perfect for families. 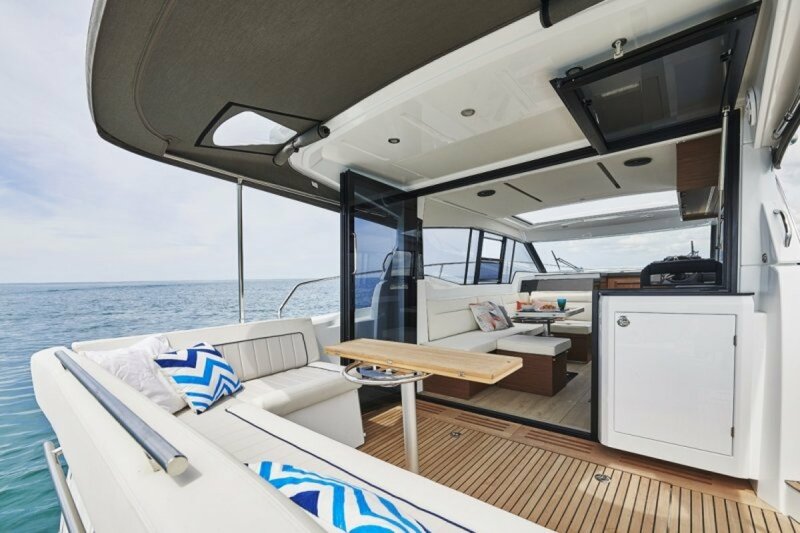 This new model benefits from the latest innovation in the series: the immense sliding glass door opens fully onto the aft cockpit. 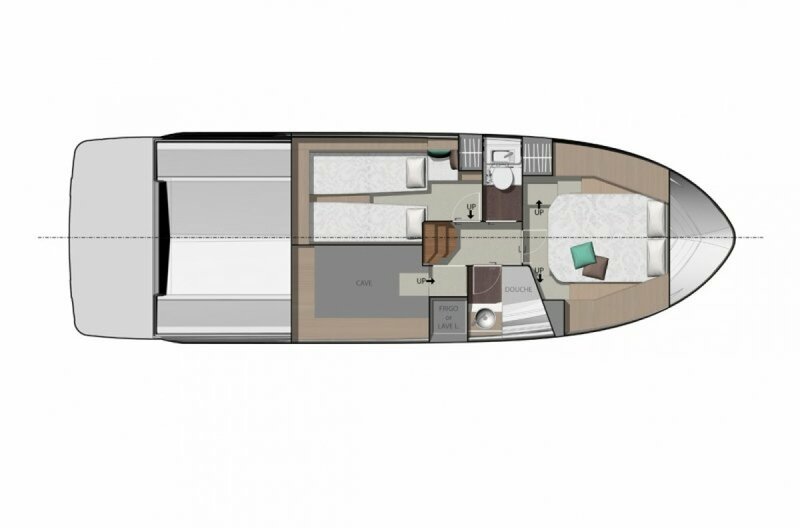 The layout has been redesigned so that the galley is also open to the exterior, with a central bar, a true connection between the interior and the exterior. 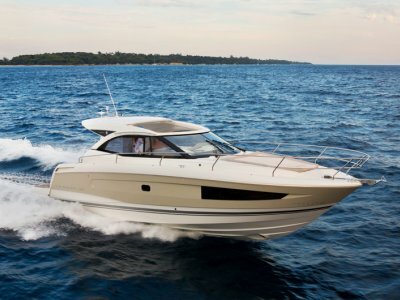 Other factory or locally fitted options including but not limited to electronics and mooring equipment. 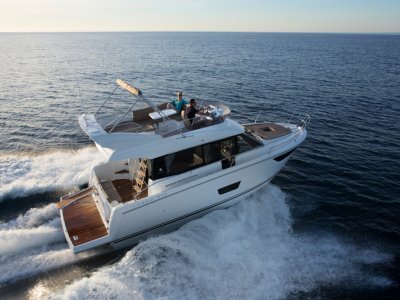 Please consult the Jeanneau agent in your capital city for the complete options list.